AZWIKUNDI: We are also now supporting a women’s AIDS co-op in South Africa by sending parcels of children’s and young adult’s lightweight clothes, books, toys and soaps. We welcome donations of the above on the 17th. 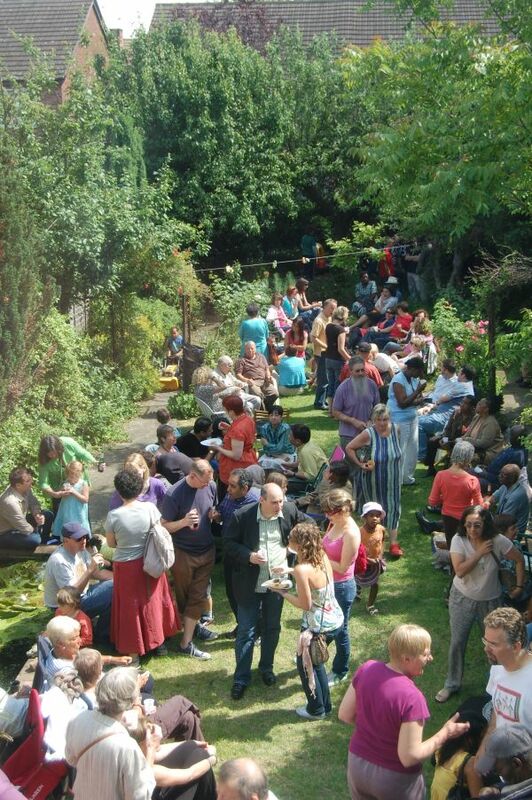 If you would like to print out a flyer of the garden party to advertise or give to a friend, please click here (PDF). Thuso in South Africa has been sending parcels of baby and young people’s clothing, books, toys, soaps, pencils etc to Azwikundi Aids Co-op near Pretoria who are currenty supporting 30+ orphans. 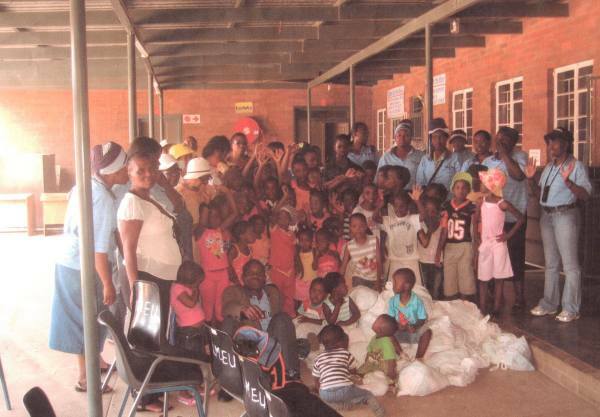 On October 9th, Children’s Day in South Africa, the parcels were handed out to the children at the Kopano Ke Maatla Home Based Care Centre. Kopana was set up in 1999 to provide home based care for orphans, the elderly and HIV/AIDS patients. The local press were invited to cover the day and published an excellent write up and pictures of the event. Some of the patients produce hand-crafted jewellery for fundraising purposes and our Chair Mmapula Tladi-Small has brought back a selection for us to sell on our stall and at the Garden Party on 17th July. Above is a photo of some of the staff and also the children with parcels that they received.